Can I Get Oral Surgery Done On My Insurance? If you are in need of any form of oral surgery in San Francisco or the wider Bay Area one of the first things that many people ask is whether there is an oral surgeon in San Francisco who takes insurance. This is a very natural question. Oral surgery is not, by any stretch of the imagination, a “cheap” procedure. To become a qualified oral surgeon takes several years of training followed by more of practical surgery in order to reach the pinnacle of what is undoubtedly a very serious profession. It follows that only the most dedicated of doctors – probably only a handful in the Bay Area – will ever achieve the heights. 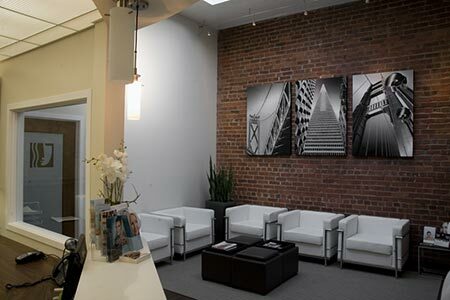 It is also a fact that if you are in need of oral surgery you will naturally want to be in the hands of the very best of the best oral surgeons in San Francisco. Any form of surgery – even something considered by doctors a very simple thing, such as an appendectomy – can lead to fear in the patient requiring the treatment, and the need to be seeking the very best surgeon possible. This leads to the inevitable conclusion that most patients requiring oral surgery want the best surgeon, but at the same time obviously need the procedure to be affordable. In many cases, patients will, therefore, be looking for an oral surgeon in San Francisco who takes insurance from the particular insurer provided by their employer. This is not always an easy matter. Many oral surgeons simply do not accept insurance and will only take payment in cash, by cheque, or by credit card. This is not a particular problem if you have sufficient resources to cover the surgery, but the plain fact is that the majority of patients are not in that position. This is where Dr Alex Rabinovich is different. First – and perhaps most importantly – he is without doubt one of the leading oral surgeons not only in the Bay Area, but in the US. He is frequently called upon to speak at conventions worldwide, and trained under some of top oral surgeons in the world when he learned his craft. Furthermore, when it comes to seeking an oral surgeon in San Francisco who takes insurance it is likely that there is nobody who accepts more insurance companies than Dr Rabinovich. He accepts insurance from some 40 of the major insurers used by Bay Area employers. While it is fair to say that there are no guarantees, it is very likely that Dr Rabinovich will accept the insurance company used by your employer. However, if the worst comes to the worst, Dr Rabinovich also has a wide range of financing options available for his patients because he has always believed that nobody should be restricted in their choice of surgeon simply because of financial implications. In short, if you are looking for the best treatment you can get – most likely covered by your insurance in any event – you should make an appointment to discuss your situation with Dr Rabinovich. His initial consultation is always free, so click on the Contact Us link at the top of the page. This entry was posted in Blog and tagged oral surgeon, Oral Surgery, San Francisco Bay Area on January 27, 2018 by Dr Alex Rabinovich.